As parents, it’s natural for us to want to protect our children from adversity and the pain that comes with it—whether that’s related to performing poorly on a test, not making the team, not being elected as class president, or something else. But however difficult it may be for us to accept, failure, struggle, and stress are all natural and necessary parts of life. Though it may be uncomfortable, exposure to struggle and failure at a young age is extremely important for helping children develop a sense of resilience that they will be able to rely on throughout their lives. Resilience is a person’s ability to bounce back or to adapt well in the face of failure, adversity, or something difficult or challenging. By working through a challenging moment, or by failing in a constructive manner, we gain experience that we are able to rely upon the next time we face a similar challenge or failure. It also empowers us to try something difficult or to take a calculated risk, because we have a sense that we will be able to handle any result, whether that is the desired outcome or something else. Why is developing resilience so important in middle school? In practice, each of us experiences a range of scenarios and challenges each and every day of our lives, and each of those challenges presents us with the opportunity to learn, grow, and further develop our resilience. That being said, when it comes to developing a strong sense of resilience, the middle school and adolescent years are important ones, for a number of reasons. For most children, middle school is a time when they begin to individuate from their parents. It’s when children begin to develop their own friendships and relationships, interests, and desires. Each of those situations will come with its own unique challenges, each of which presents a child with the opportunity to learn and grow. Luckily, the challenges faced during the middle school years tend to be relatively low in stakes compared to what a child will experience in high school, college or beyond. Experiencing adversity and failure and learning how to adapt during early adolescence gives them experience that they can lean on later in life, when the stakes are higher. If a child’s first exposure to failure is later in life and they don’t know how to cope, it can be detrimental to their well-being—simply because they haven’t had the opportunities to build the resilience that they need to bounce back in a healthy manner. Beyond all of this, there is research that tells us that the most impactful of learning doesn’t occur when something comes easily to us, but when we experience a hardship, or when we find ourselves needing to struggle through something. If we are only ever faced with situations that are easy to navigate and understand, we will never grow. If we are only faced with what is beyond our ability, we will experience fruitless struggle and frustration. In between the two is what is difficult, but achievable, and it is where growth happens—throughout life. 1. Avoid the urge to immediately intervene. One of the most important things a parent can do to help their child build resilience is to resist the urge to intervene. Sometimes as parents, we’ve got to let our children fail. This advice should of course be taken on a case-by-case basis. In certain situations, parents should absolutely intervene to guide their children; and support shouldn’t simply be abruptly removed. But if the stakes are relatively low, it might be a good idea to take a step back and let your child either succeed or fail on their own. For example, if there is a quiz coming up and you have already explained to your child that they should study, but they haven’t listened to your advice, it is important for them to see what the effects of that inaction are. This will help them build a sense of cause and effect, and also help them understand that they are responsible for their actions. 2. Know what “too much” stress looks like. A certain level of stress is important, healthy, and natural in life. It’s how we grow and how we adapt. But there is a fine line between healthy, productive stress and unhealthy stress. It is our jobs as caring adults (parents and teachers alike) to be able to recognize when a child is under too much pressure or stress. Exactly how much stress a child can healthily handle will depend on the child. That being said, some signs that a child may be under too much stress or experiencing too much challenge may include if the stress begins to impact a child’s sleep habits, emotional state, or their friendships and relationships, then it may be time to intervene. 3. Talk about and model resilience in your everyday actions. Another great way to help your child develop healthy habits for dealing with stress and disappointment is to simply model that behavior in your own everyday actions. The next time that you experience a disappointment or failure, you can narrate or demonstrate a healthy way of working through the challenge. Model the kind of reaction that you want your child to have when they inevitably experience failure. Acknowledge the frustration or other negative emotions that arise. Ensure your child understands that these are healthy emotions to have—but don’t wallow in them. Experience them, acknowledge them, and then show that it is possible to move forward. 4. Encourage your child to try new things that are outside of their comfort zone. Many children worry about trying new things because they’re afraid they won’t be good at it. Trying out for a new sport team, running in an election, joining a club, taking a challenging class, making new friends, etc. In these circumstances, explain to your child that they won’t necessarily always be good at something, and that that’s okay—they should try it anyway. Maybe it will be something that they get really good at over time, or simply something that they enjoy, despite not excelling at it. Regularly trying new things, and occasionally failing at them, helps us to continuously learn and grow. No person is good at everything, but being naturally good at something shouldn’t be our litmus test for something that we are interested in or enjoy. 5. Join a community that offers opportunities for resilience. If you want your child to develop resilience, they need the opportunity to do so. This means that they need to be given the chance to push themselves every single day. Joining a club, school, or other community that offers these opportunities and supports children along the way can be incredibly beneficial. When most parents think about the skills that their children need to develop in order to be successful throughout life, our minds so often go to academic skills. 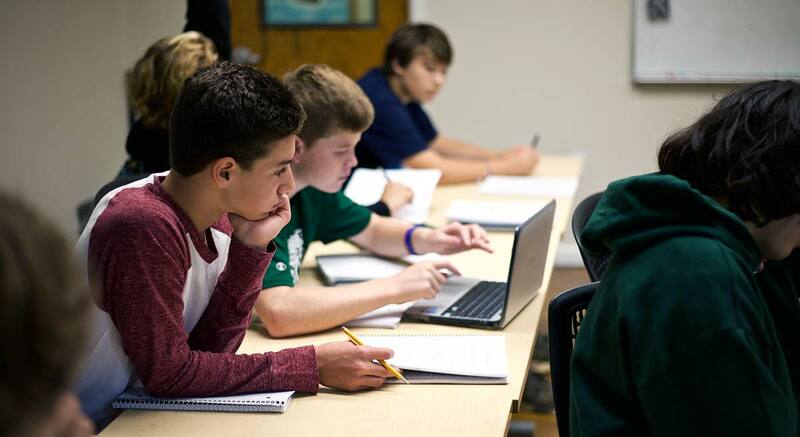 We focus on critical thinking, interdisciplinary learning or specific subjects like math and science. All of these are obviously tremendously important, but we do our children a disservice when we focus solely on those skills in lieu of others. Resilience is one such skill that our children will rely upon throughout their lives—so long as we give them the foundation and opportunity to do so. If you would like to learn more about the specific components that make a Friends' Central education special, we encourage you to download our guide A Closer Look, which details the weekly schedules, service opportunities, clubs, and athletics available to our Lower, Middle, and Upper School students so that you can better understand if Friends' Central School is a good fit for your child.